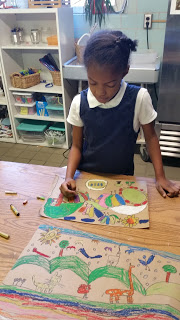 At GLOBE, K-5th students are offered a variety of special courses called Connections including Art, Music, Physical Education, STEM Exploration, Technology, and Library. These weekly, 55-minute courses have their own meeting spaces and are taught by a different Connections teacher. In middle school, students may choose to participate in Band, Chorus, Orchestra, or Arts Symposium as an elective that meets daily. Connections teachers also organize field trips to see performances, museums, and exhibitions. For many students, these Connection classes are highlights of the day. 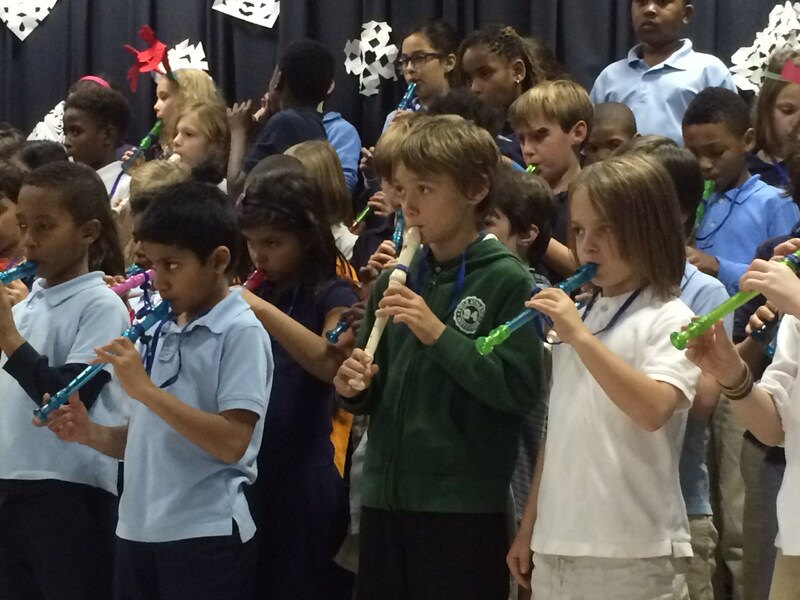 Music at GLOBE is an exciting hands-on experience for our students. Students learn to read age-appropriate music notation through singing in English and many other languages, dancing, and playing on percussion instruments, xylophones, and recorders. Harmony is explored through fun and engaging songs on ukulele and guitar and through singing. We also learn how music is put together when we learn about the instruments, compose our own songs, study form, and learn to use the Garage Band program on iPads.All students are provided opportunities to perform. It is through these activities that students learn how music reflects culture and history, making many connections in their academic and language classes. Children are introduced to a variety of art materials and experiment with different types of art techniques. Art is an important part of cultural studies at GLOBE. Whether meeting contemporary Atlanta artists, creating comic books, or learning about art's role in social movements, students learn about art's importance in culture and society. 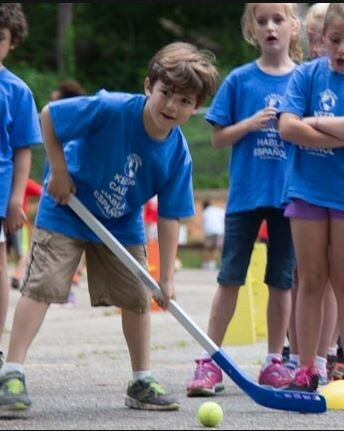 Physical Education is important at GLOBE - and it's a lot of FUN! Our PE teachers often incorporate academic learning into their fitness activities. For middle school grades (6-8), students take a Health course one day per week and have Physical Education 4 days per week. GLOBE hosts an annual Field Day each Spring. Though science is a regular part of GLOBE's curriculum, we offer an extra weekly STEM connection course. Students love visiting the science lab where they work on projects, conduct experiments, and build models around a scientific theme. Students visit the library weekly for a lesson with the Media Specialist. They can also check out books from GLOBE's collection which includes books in English, Spanish, French, and Mandarin. Kindergarten and first grade students build basic computer skills and confidence in using different types of technology. Older students work toward using technology as a learning tool for each subject and in their target language.